Did an Instagram leak just reveal Watch Dogs 2's protagonist? The protagonist of Watch Dogs 2 might have had an early reveal on Instagram. The picture was uploaded by performance artist King, who posted the picture of the new character. "Had a blast doing motion capture work as the lead character work as the in a new video game series," he wrote in the caption alongside, including the hashtag #WatchDogs2. The account was later set to private, but NerdLeaks grabbed a screenshot before it vanished. Check it out below. 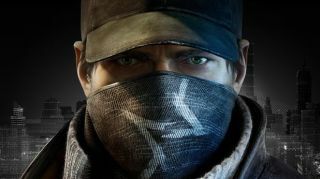 The character can be seen wearing a bandana over his mouth, much like Aiden Pierce had in the first game, while the phone in his left hand suggests he's poised for some hacking. We've known that a second Watch Dogs game has been in the pipeline since a developer let it slip on his LinkedIn profile last year, but this is the first glimpse we've had of it. In an earnings release Ubisoft later confirmed that the sequel will launch before April 2017. A Ubisoft representative when asked for comment said that the company does not comment on rumors and speculation.